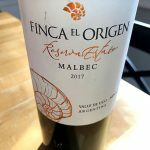 Finca El Origen is a tasty, sporty, violet-colored Malbec from Argentina’s Mendoza region. The 2017 vintage is out, and you’ll find bottles going for $12 and under in stores in our region. Elegant, supple, and lovely. 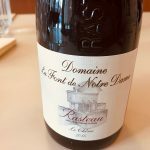 This $20 red wine from the Rhône region in France—Domaine La Font de Notre Dame—is a beauty that pairs great with most foods.